‘Mobility’ here simply means physical travel from one country to another for learning or professional experience. This action allows organisations to send staff to other European countries to undertake a dedicated period of learning or professional experience, such as job shadowing, training, volunteering, or gaining work experience. Organisations active in adult education can receive funding for projects which include sending their staff for a dedicated period of teaching or training in another participating country. Projects must involve a minimum of two participating organisations (at least one sending and one receiving) from different countries. However, receiving organisations do not have to be identified at the time of application. The teaching or training must respond clearly to identified staff development needs, and be framed within the organisation’s European Development Plan (see ‘how to… apply’ for more detail). Any public or private organisations active in adult education may take part. Individuals cannot apply for funding directly. Note that the consent of the organisation’s CEO or equivalent is required in order to apply. For full eligibility criteria, see the boxed text ‘Eligible participating organisations’ in the ‘Mobilty project for adult education staff’ section of the Erasmus+ Programme Guide. Funding is available for travel to and from the host country; to cover the participants’ cost of living while abroad; and to support the sending organisation with costs directly linked to coordinating the project. Funding for course fees and for special needs is available where sufficiently justified in the application form. Funding is calculated on a per participant basis and amounts vary depending on the receiving country involved. For full funding details, see ‘What are the funding rules?’ in the ‘Mobility project for adult education staff’ section of the Erasmus+ Programme Guide. Adult education staff can gain first-hand knowledge of other European education systems, hone their competences in teaching and training, and observe how other countries are handling particular professional challenges. Adult education organisations increase their capacity to engage at international level, and are encouraged to use their project experience to innovate and improve their own practices. They have the opportunity to target areas of interest and strategically plan CPD for their staff group. Strategic Partnerships allow organisations active in adult education to cooperate with other relevant organisations to promote the development and use of innovative methods. A core element of Strategic Partnerships is that project results must be shared with the wider community to ensure impact beyond the organisations directly involved. A minimum of three organisations from three different programme countries must take part. There is no maximum number of partners, but funding for managing the project is capped at a level equivalent to ten organisations. If all the partners are adult education organisations, the partnership is ‘sectoral’. If any partners are from different sectors, the partnership is ‘cross-sectoral’. Projects can last either two years or three years. NB: Irish adult education organisations can participate as either ‘lead’ or ‘partner’ organisations. Only the lead organisation of a partnership applies for funding. As projects can be large- or small-scale and can include a diverse range of partners, a very wide range of activities is possible. Horizontal and field-specific priorities are stated in the Programme Guide and project must address at least one priority. Any private or public organisation which is active in the field of Adult Education can take part. Note that the consent of the organisation’s CEO or equivalent is required in order to apply. For full details of eligibility criteria, adult education priorities, and possible project activities, please see the Adult Education Summary Guide and the ‘Strategic Partnerships in the field of education, training and youth’ section of the Erasmus+ Programme Guide. The maximum funding available is €300,000 for two-year projects or €450,000 for three-year projects. All projects can receive funding for project management and implementation; apart from these, eligible expenses depend on the types of activities in the project. See the Adult Education Summary Guide and ‘What are the funding rules?’ in the ‘Strategic Partnerships in the field of education, training and youth’ section of the Erasmus+ Programme Guide for detail. Strategic Partnerships reinforce interaction between practice, research and policy in adult education. Intended benefits for adult learners include increased initiative, entrepreneurship, and competence in digital and social skills. Adult education organisations can increase their opportunities for staff professional development and improve their provision of basic and transversal skills. Participation should also encourage more strategic and integrated use of ICT and open education resources in organisations. 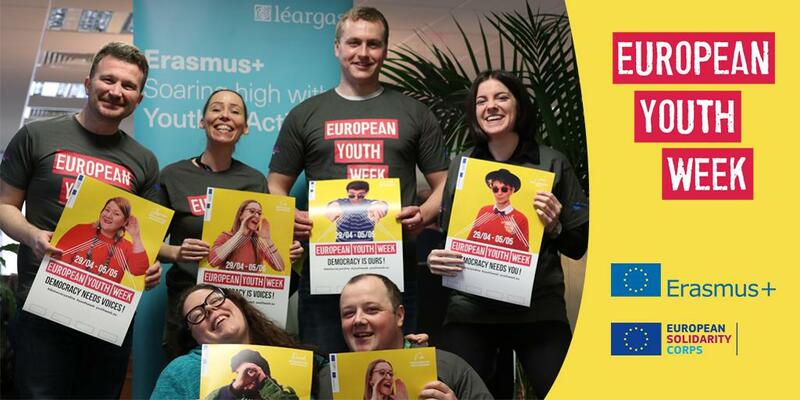 Erasmus+ provides funding to Irish Adult Education organisations to carry out a wide range of projects, including teaching, training or job shadowing in another country (under Key Action 1), or creating an international partnership with relevant organisations to meet common challenges (under Key Action 2). Adult Education organisations can also participate in some parts of Erasmus+ that are managed centrally by the European Commission, including Sport Activities. Erasmus+ emphasises the organisational, local and national benefits of participation so while individual staff and adult learners can take part in the projects, it is the organisation rather than the individual that applies for project funding. However, individuals (with the support of their organisation) may apply to attend international meetings called Transnational Cooperation Activities (TCAs) where relevant. To find out more, click the Key Action red tab on this page; to see the project lifecycle and how to apply, click ‘How to’. Note for course or training providers in Ireland: If your organisation wishes to host Erasmus+ participants on teaching or training courses, please note that the funding is provided to the sending organisations via their own National Agencies rather than to the host organisations via Léargas.